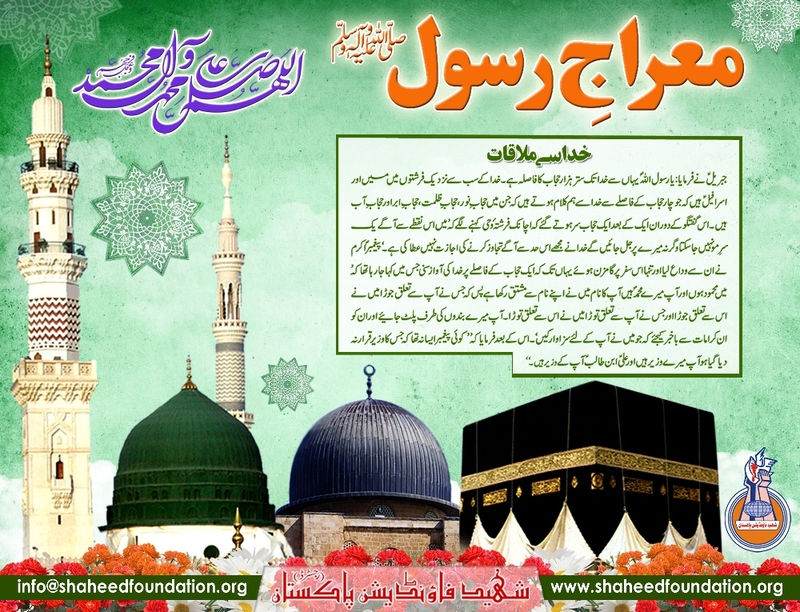 27th Rajab : Eid-e-Be'that-e-Rasool-e-Khuda [SAWW] - The Most Important Event of Recorded History! The issue of Be’that and the occurrence of this divine event is the most important thing that has ever happened to humanity. In the history of mankind, no other event has been more significant than Be’that and no divine blessing has been greater than this blessing. We have the honor of having accepted Be’that with all our heart and soul. We have developed faith in it and we have become familiar with this path to happiness. This is a great divine blessing and every Muslim has a responsibility to achieve the paradise of divine and spiritual happiness through building faith, doing good deeds and moving towards the goals of the Holy Prophet of Islam’s (S) Be’that. Of course, we cannot comment on the meaning and essence of Be’that. The true essence of Be’that is beyond our limited intellectual capabilities. Regarding the issue of Be’that, there are two things which are important for Muslims of the world. First, Be’that of the Holy Prophet (S) is like a flowing spring and it is a divine blessing that has been bestowed on all humanity. As Allah the Exalted has repeatedly promised in the Holy Quran, the purpose of Be’that is to imbue the life of human beings with the essence of Be’that. And this will happen. The issue of Be’that is a definite truth in the world. The purpose of the kind of justice that is supposed to be administered in the world as a result of the Holy Prophet’s (S) Be’that was not to make a particular group of people develop faith in it at a particular stage without the majority of human beings developing faith in it throughout history, rather the issue of Be’that was put forth in order to build a new world and new human beings and to help all human beings achieve perfection. And this will happen because if it does not, the original goal of Be’that will not be achieved. Of course, the movement towards this goal is one that has its own conditions and requirements and we are moving towards this truth. Every step that human beings take whether they want it or not, whether they know it or not will bring them closer to the essence of Be’that. Today the slogans that are proposed in the world are in line with the issue of Be’that although these slogans are usually not accompanied by action. Example of such slogans include slogans of social justice, intellectual liberation, freedom, knowledge, progress, improvement of living conditions and other slogans that are promoted by different governments, peoples, intellectuals and schools of thought. 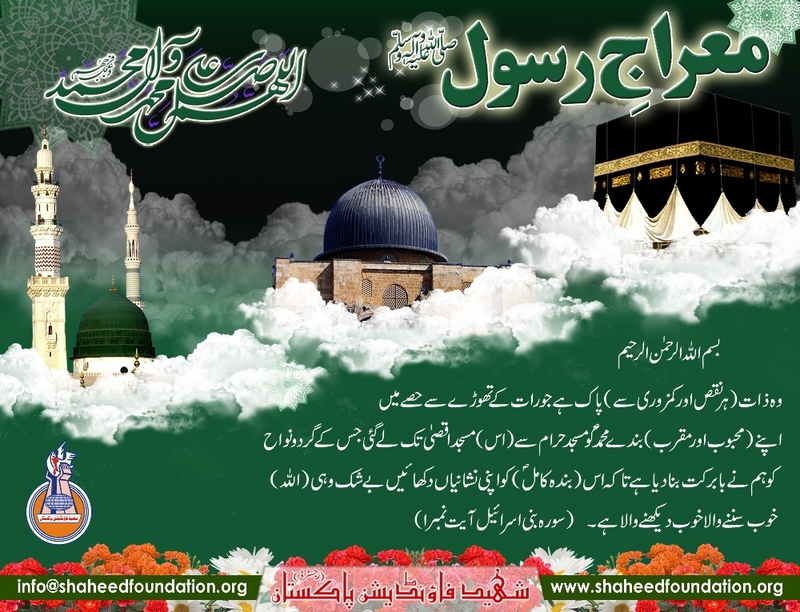 The existence of these slogans in the world is due to the introduction of divine prophets and the last Be’that. Of course, these slogans exist in a flawed form among the people as well, and some people are moving towards them. Today we as well as the entire humanity are moving towards developing faith in the concepts and values that are associated with Be’that of the Holy Prophet (S). In the Islamic Republic, we have the honor of being among the nations that have implemented slogans of piety and acting according to Quranic principles and we are moving towards perfection in this regard. We have the honor of having identified this truth. We have the honor of having witnessed this truth. We have the honor of loving this truth. We have the honor of moving towards this truth and we have made great progress on this path. The entire world and humanity should and will follow the same path. The second point concerns the Holy Prophet (S) himself. The memory of the Holy Prophet (S) and the love and respect that Muslims have for him are the main factors that unite Muslims in different eras. There are no other factors in Islam that all Muslims from different countries and denominations agree upon from rational, emotional, spiritual and ethical aspects. The Holy Prophet (S) is the pivot of Muslim unity. The Holy Quran, Ka’bah and Islamic obligations and beliefs are all shared by Muslims and each of them is related to one aspect of human personality such as faith, affection, spiritual tendencies and issues relating to Taqlid and practical ethics. However, the majority of these things are interpreted in different ways among Muslims. What all Muslims agree upon intellectually, ideologically and emotionally is the Holy Prophet (S). It is necessary to appreciate this. It is necessary to increase this love for the Holy Prophet (S) and to strengthen this spiritual tendency towards him in the hearts and minds of all Muslims. The memory of the Holy Prophet (S) is one of the most attractive things for all Muslims throughout the world because the issue is one that involves both affection and faith. Thus, compared with other aspects of Islam which are ideological in nature and do not involve emotions, the memory of the Holy Prophet (S) plays a more important role in Muslim affairs. For this reason, certain great intellectuals of the world of Islam have rightly pointed out that the Holy Prophet (S) and his memory and Muslims' faith in him can be the pivot of Muslim unity. Fortunately, this year’s commemoration ceremonies have coincided with the official inauguration of “The International Forum for Proximity of Islamic Denominations”. Our brothers made efforts and started this work and by Allah’s favor, the forum will promote the noble goals of Islam. Regarding the issue of unity, there are two essential orientations, each of which is important in itself. When we shout slogans of unity, these two essential points should be kept in mind and this will prove useful in the lives of Muslims. One point is the necessity of clearing differences, conflicts, disputes and obstructionism that has existed for centuries among different Islamic groups and denominations. And these problems have always harmed Muslims in the end. If we refer to the history of Islam, we will see that origin of all these problems originate from governments. If you read the history of Islam, you will realize that the almost all of the disputes in different Islamic countries originate from centers of materialistic power, including the initial disputes namely, the issue of creating different versions of the Holy Quran and other such issues and the other disputes that happened over time among different Islamic denominations, particularly between Shia and Sunni Muslims. Of course, ignorance of the people and different kinds of prejudice which are not based on a rational foundation play a role in provoking people against each other, but all of these things only prepare the ground and none of them causes the violent events that have happened in the past. Those great tragedies were caused by centers of power, centers that were trying to take advantage of the disputes among Muslims. When colonialism entered Islamic countries, it became clear that colonial powers were after the same goal, some directly and some others indirectly. We can learn many lessons from the behavior of certain famous European personalities both political and cultural personalities. They spoke in one way when they were in Egypt. They spoke in another way when they were in the Ottoman Empire. They spoke in yet another way when they were in Shia Iran. Their goal was to undermine Muslim unity, an element which European colonialists and leaders of industrial civilization were afraid of. And they had every right to be afraid. Finally, they did what they wanted and they created surprisingly deep discord among Muslims. The kind of unity that we promote in our slogans, the kind of unity that we are committed to, the kind of unity that we are after, the kind of unity that we are working towards the first requirement for this unity is to make efforts to resolve the existing conflicts, contradictions and disputes. Allah the Exalted will be happy with such efforts, and believers, sincere people, saints and wise people will be satisfied as well. It is necessary to prepare the ground in this regard. Ideological differences of opinion do not matter. Ethnic differences do not matter. Racial differences do not matter. But these differences should not cause discord and conflicts among Muslims. Everybody should work hard in a sincere way. Great religious scholars, intellectuals, writers, poets and artists should consider this work as a divine obligation. This holy Ayah as well as other Ayahs have been addressed to us and to all Muslims who are faced with the enemies of Islam. We need to translate these Ayahs into action. Although many centuries have passed since Be’that and although many intellectuals and religious scholars in the world of Islam have expressed their opinions regarding that great event, Be’that is still worthy of careful analysis from various perspectives. Be’that of the Holy Prophet (S) was a great movement in the history of mankind and its goal was to save human beings, purify human souls, improve ethical conditions and confront the problems that human beings have been faced with in all eras. All divine religions are opposed to evil and corruption and all of them are straight paths towards noble goals. The characteristic of Islam is that it is a prescription for all eras and that it is effective. However, this does not mean that after the introduction of Islam and after Be’that of the Seal of Prophets (S), all human souls were purified. It does not mean that after the revelation of the Holy Quran, human beings will no longer encounter injustice, discrimination, brutality and shortcomings on their path to perfection. 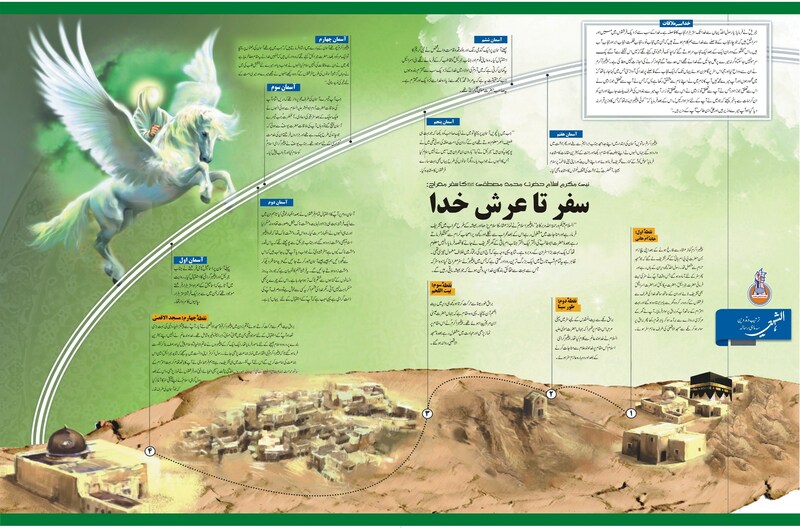 When we say that the Holy Prophet (S) and Islam were introduced into the world in order to establish justice, save the oppressed and break living and dead idols, this does not mean that people will no longer suffer from injustice, that there will no longer be any Taghut, that no idols will dominate the life of humanity. History shows that after the introduction of Islam, certain Taghuts emerged in different parts of the world and even in Islamic environments, of course after the passage of several decades. Once again people were faced with injustice and the same problems that human beings were grappling with previously started to emerge again. Therefore, when it is said that the goal of Be’that is to save human beings, it means something else: it means that what the Holy Prophet (S) and Islam gave to human beings is a prescription that is effective in all eras, a prescription to counter ignorance of human beings, a prescription to counter establishment of injustice, a prescription to counter discrimination, a prescription to counter oppression of the weak at the hands of powerful people, a prescription to counter all the sufferings that have plagued human life since the beginning of creation. Just like all other prescriptions, if this prescription is followed, it will produce results and if it is ignored or misunderstood or if people lack the courage to follow it, then it will be useless. If the best doctor writes the best prescription for you, but you fail to read and follow it or if you misread it, what effect will it have on your illness? Can we blame the experienced doctor who wrote the prescription? They could not have preserved their achievements without making sacrifices. The majority of the problems that had imposed ignorance and prejudices on the lives of the people in the Arabian Peninsula, still dominate the lives of Muslim nations. Islamic countries are still suffering from poverty, illiteracy, scientific backwardness, domestic autocracy, hegemony of the arrogant powers and domestic disputes. Today there are more than one billion Muslims in the world and they can play a significant role in major global developments, but with the basic domestic problems that they are grappling with, the large population of Muslims have become insignificant despite the fact that there are outstanding personalities and religious scholars among them. What is the reason? What can remedy these problems? Islam and faith in Be’that of the Holy Prophet (S). Muslim nations should return to Islam. Of course, the path has been opened up already. The past century namely, the 13th century on the Islamic calendar was the century of Muslim activists who claimed Muslim rights. From the early 14th century when Mirza-e-Shirazi the great Marja Taqlid issued that decisive Fatwa against the English company and caused the people of Iran to start a movement, to the Constitutional Movement in Iran, to the Islamic movements in India, to Islamic Awakening in the Middle East and in North Africa – almost the entire century was the century of struggle and protest. And the current century is the century of taking action. The 14th century on the Islamic calendar was the century of raising public awareness and the 15th century is the century of taking action.